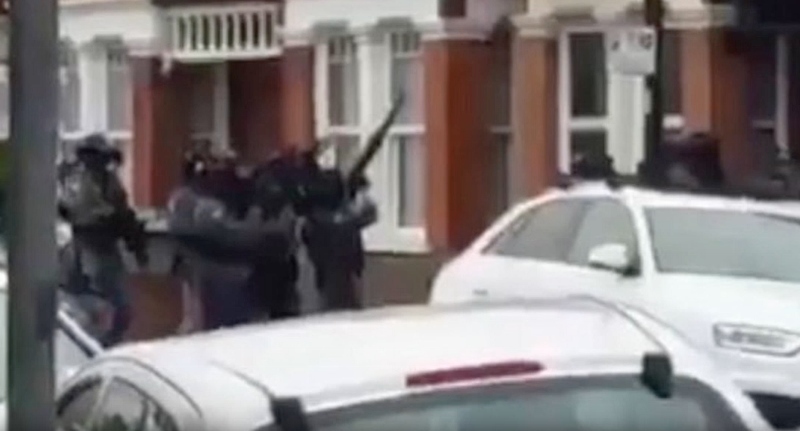 During an ongoing counter terrorism investigation at 7pm Thursday 27th April, armed officers entered an address in Harlesden Road in London, during which a 20-year-old woman was shot. The femle who is one of the subjects of the investigation, was shot by police and taken to hospital by London Ambulance Service. She remains in hospital in a serious but stable condition. Due to her condition, she has not been arrested at this time and remains under police guard at hospital. A total of four people have now been arrested. The first, a 20-year-old man was arrested near to the address. A male aged 16 and woman aged 20 were arrested at the address. A 43-year-old woman was arrested in Kent a short while later. This incident is not connected to the arrest in Whitehall earlier on 27th April. In line with established post incident procedures, the incident has been referred to the Met's Directorate of Professional Standards and has also been referred to the Independent Police Complaints Commission as a matter of course. There are no other reported injuries. Enquiries continue. Searches at the address are ongoing, as well as further searches at linked addresses across London.